"Loaded with dried fruit, nuts, coconut, and of course, oatmeal, this granola is nothing like the commercial boxed cereal mix. Delightfully crunchy, naturally sweet, delicious any time of day. My favorite way to eat this is with yogurt. 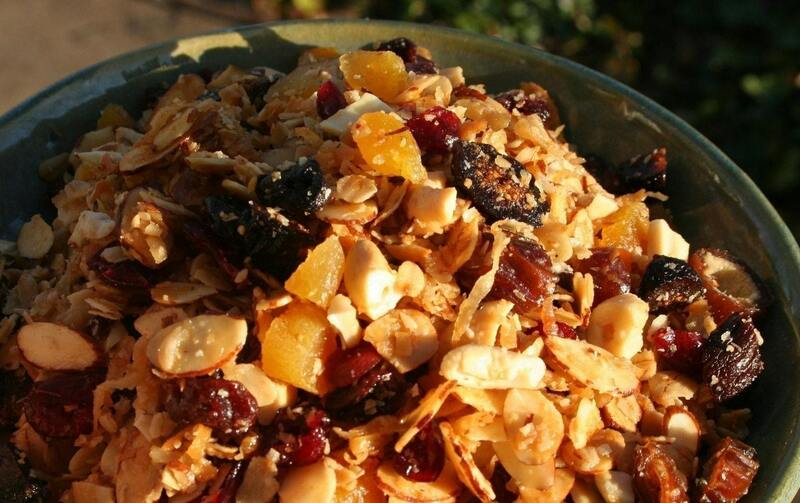 Contains almonds and cashews, dried fruits; apricots, cherries, figs and cranberries. Sweetened with honey and coconut."